Welcome to my first blog post about App Store Optimization! As an ASO Account Manager of a leading mobile marketing agency, I have the pleasure of working with some of the most exciting and hottest apps. 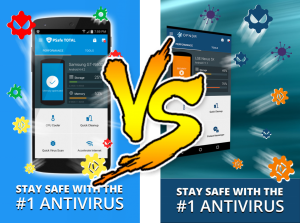 One of these apps is PSafe’s DFNDR: Antivirus & Cleaner – a top of the line Android antivirus, which will help boost your battery life and maintain a clean device. Recently, PSafe has rebranded their flagship app as “DFNDR”. What I like the most about working with DFNDR is their excitement and openness when it comes to their product’s creative aspects. Giving us the creative space to design optimal graphics for their Google Play app page has resulted in a 20% increase in conversion rate – a number that is only going to go up by the time you read this post. Keep in mind that this app has hundreds of thousands of daily installs, so an increase of 20% is significant. How have we helped DFNDR reach the #1 spot in the Tools category in the Google Play Store and the top ten in Top Free Overall? One of the major things we did was to test the heck out of every component of their store listing starting with their descriptions, followed by their graphics. The short description is one of the first textual pieces in your app listing – 80 characters to grab your user’s immediate attention. Each app draws a different audience, so what works for DFNDR may not work for, let’s say, a dating app. This is why testing becomes important. 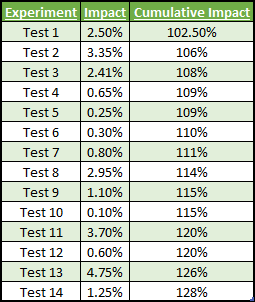 Through our testing, we have found that numbers and a strong CTA have performed best (i.e. “Millions protect…”) for an app like DFNDR. Use your long description to inform your audience about the benefits of your app. Make sure that you have done proper keyword research and use the terms that your audience is searching for. But be careful. You don’t want to sound like you are keyword stuffing. You want to make it flow and sound good. You definitely do not want it to say something like “antivirus is an antivirus for android virus removal, mobile booster, cache cleaner that cleans your cache files.” Not only does this not sound appealing, but it also runs the risk of being flagged by Google. Graphics: Where do we even start?! Let me respond to my question with a question of my own: What’s the very first thing you see when browsing app listings? – The icon! The icon is what will grab the user’s attention after they have searched for the specific type of app or keyword they are interested in. Make yours stand out from the crowd. You don’t want to have it blend in with all the other guys. The icon holds a lot of branding value, so there is a limit to how much we can fool around with it. For this reason, we chose to test appearance of different texts on top of the icon, one of which was “2017” – conveying the true feeling that this app is up-to-date. Don’t Panic. We got this. After you enter the app page, one of the first things you’ll see is the feature graphic. This is at the top of the app store page seen on a mobile Android device. The feature graphic is layered over a video if you have one, which is why sometimes you will see a play button. In DFNDR’s case, we found that the strongest feature graphic (so far) was the original. With some minor tweaking, of course . Keep in mind that not every test would be a success – the key is to never despair and keep on testing. 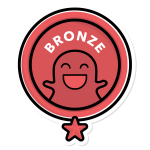 Once you’ve optimized your feature graphic, you want to make sure that your screenshots are in line with the rest of your branding. You want to make sure that everything comes together. This is where we’ve seen the biggest impact in our ASO work. Since we keep testing and ensuring that our graphics are consistent with one another, and are always testing screenshots and feature graphics through various tests, we proved that consistency is key as PSafe’s feature graphic background converted best when applied to the screenshots as well. If your phone is set to the US, take a look at DFNDR’s app store listing, and you may notice that your listing is different than that of the person sitting next to you (assuming that there is someone sitting next to you). We are running weekly localized tests targeted to the US Google Play Store. Localized A/B Testing offers a more accurate idea of how consumers in your focused markets react to the changes. 20% increase – Up, Up, and Away! We’ve run numerous additional experiments with DFNDR, some of which were successful, in which we applied one of the new variants, and some of which concluded that the current version performs best. The following concludes our successful tests with DFNDR’s store listings and their overall impact. Location, Location, Location – I mean, Test, Test, Test! Google Play offers endless amounts of testing possibilities in different locales. You may as well take advantage of it. DFNDR and yellowHEAD’s collaboration is an ongoing process of testing many different aspects that requires constant attention. If you, or someone you know, does not feel entirely comfortable with running tests, please contact your local ASO agency. Or a doctor. This blog post has been A/B Tested and may be different than that of the person sitting next to you ☺.